Before you read any further, I am not a doctor. Always consult your physician before making changes to your diet or fitness. Longevity. Living a long happy life is on everyone’s list of life goals. (If it’s not on yours, I’m sorry, but it’s on mine.) Getting the happy life comes down to how you define happiness. Do you find joy in your faith? Is happiness being rich beyond your wildest dreams? Is it surrounding yourself with friends and family that love you? Or maybe is it being famous? However you define it, happiness is your choice, but living a long, healthy life is not as straightforward. People get sick, they get into accidents, and in the end we don’t decide our fate. There are decisions we make that help to shape our life. Things like sleep habits (Ha! Do parents reallysleep? ), hygiene, and diet are choices we make on a daily basis. Each one affects our health and well being. 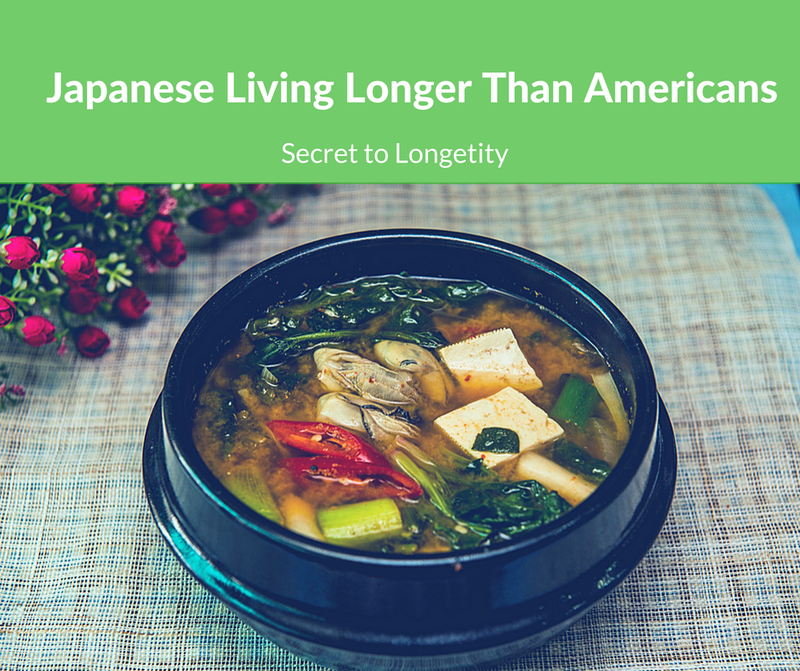 When it comes to eating healthy to live longer, the Japanese have a head start. Japan sits in first place in this World Population Prospects study by the United Nations. In this same report, the United States falls all the way down to the forty-third place. That’s a long way from first place! The average Japanese life expectancy is 83.74 years; American overall life expectancy is only 78.88 years. Why are the Japanese living longer, healthier lives than Americans? What do they have that Americans don't? The secret to Japanese longevity doesn’t lie in their genetics but in their diet. A nutrient rich diet that limits anti-nutrients is the best way to stay healthy. In Japan, people enjoy such a diet. High amounts of fermented soy products, fish, vegetables, and seaweed provide the essential nutrients the body needs to not just survive but thrive. Imagine this: two people jump off a boat into the ocean. The first person grabbed a life-jacket, a kickboard, and flippers. The second took a book, winter jacket, and their television. Which person is going to have an easier time getting back to the boat? The one who supplied themselves with tools that aid in swimming and floating above water. While a book, winter jacket, and television are all nice commodities to have, none of them will help keep you afloat or help you swim. In fact, they will sink you. Eating a diet devoid of essential nutrients is akin to the second jumper. Sugary treats, empty calories, and unhealthy fake fats weigh us down. You may be able to stay afloat for a while, but not forever. Making it back to the boat requires shedding the useless and harmful baggage and equipping yourself with the right tools for the job. 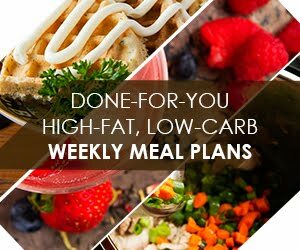 Choosing meals with nutrient dense superfoods and less sugar are the key to making it back to the boat. The most important tool the Japanese make use of is superfoods. Superfoods are nutrient dense foods. Where some foods are one trick ponies, superfoods bring home the MVP trophy. The Japanese diet is filled with nutrient dense foods such as fermented soy products, fish, and seaweed. That's right, seaweed. Seaweed makes up 10% of the average Japanese diet. If you divide your plate into 10 equal sections and filled one section with seaweed at every meal, that would equal 10%. That's a lot of seaweed. You're probably asking, "Shannon, why would you want to eat that much seaweed?" I’m so glad you asked! Seaweed is full of beneficial nutrients- dietary fiber, minerals, vitamins, phytochemicals, and polyunsaturated fatty acids to name a few. Phyto-what and fatty acids? Hang on I'll explain. Dietary fiber is important for keeping your digestive system in working order. Plus, getting your daily recommended dose of dietary fiber lowers your risk of heart disease. Scientists are still finding connections between heart health and fiber. The insoluble side of dietary fiber helps to lower cholesterol levels and your risk of a stroke. Minerals such as magnesium are needed in every part of the body. Magnesium is necessary for protein synthesis and maintaining a normal heart beat. Protein synthesis is the processes in which a tiny, individual cell makes protein with its DNA blueprint. This means every cell in your body needs magnesium to function properly. Vitamins help the body complete specific tasks. 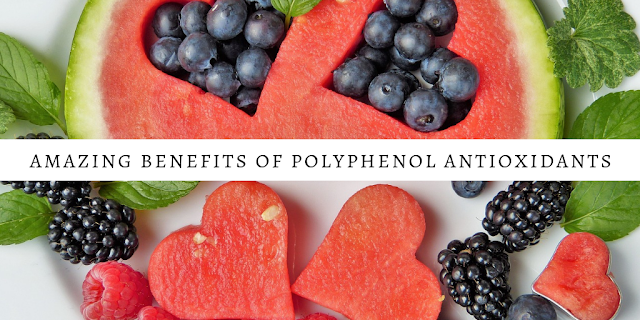 For example, Vitamin C aides in the formation of collagen, and vitamin B12 decreases homocysteine levels in the body, Lower homocysteine levels helps prevent the development of Alzheimer's. Every vitamin has a set of very specific and important jobs in the body. Red and green seaweeds are the only known vegetable sources of vitamin B12. Phytochemicals are plant based antioxidants and enzyme-activators. They protect the body against certain diseases and cancer. Enzyme-activating sulfur compounds found in seaweed and notoriously smelly vegetables (like brussel sprouts) increase the body’s production of enzymes. These enzymes shut down and eliminate cancer cells. Omega-3 and omega-6 are two examples of polyunsaturated fatty acids. By clicking here you’ll find an infographic on the health benefits of omega-3’s. Even with all these goodies, seaweed remains low in calories. There are only 43 calories in 100 grams on seaweed. 100 grams of seaweed is a lot more than you think. Our favorite snacking seaweed (yes, we eat seasoned, roasted seaweed for snacks) is only 10 calories for the whole 2g package. There are 10 seaweed sheets in one package, and each sheet is the size of a standard piece of printer paper. Eating 10 of these is close to my worst day of binge eating half a big bag of potato chips (not a proud moment for me) without all the calories. The low calorie count is due to seaweed being a vegetable like spinach and lettuce. Most dark, leafy vegetables are low in calories and carbohydrates while still packing a punch in nutrients. Just as there are different kinds of lettuce, seaweed has a large variety as well. All seaweed is made from kelp and algae. Growing up near the beach meant getting close to sea grasses. Slimy, not-fun-to-walk-on June grass would dominate the beach once a year. Thankfully, there are other types of seaweed that don’t interfere with my beach retreat. There are three categories into which every seaweed falls into: red seaweed, brown seaweed, and green seaweed. Konbu and wakame are examples of brown seaweeds, and Ao nori is the most common green seaweed eaten. If you eat sushi, you're probably familiar with the dark green seaweed around maki rolls called nori. Nori, scientifically known as Porphyra Tenera, is in the red seaweed class. Odd. It doesn’t look red. That’s because the drying and roasting process changes the color of the red algae to the dark greenish color you’re familiar with. 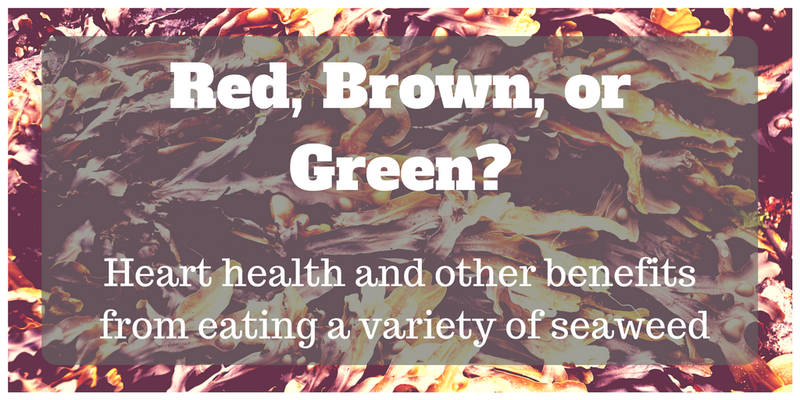 Due to seaweeds high nutritional values, they have a plethora of health benefits. Lower cholesterol levels and blood pressure, better glucose levels, and cancer fighting antioxidants are all perks to eating seaweed. One such benefit is lower blood glucose levels. Brown seaweeds, such as konbu and wakame, help the body keep blood sugar levels low after meals. Cholesterol levels and blood pressure are important markers of heart health. Keeping cholesterol and blood pressure at reasonable levels often means taking a handful of prescription drugs regularly. 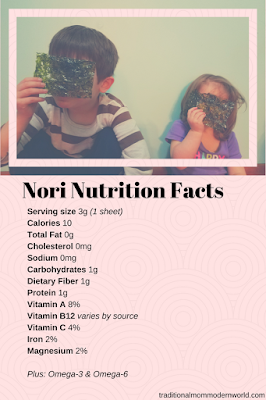 A study (2) of Japanese children found a connections between seaweed consumption and lower blood pressures. In another study (3), rats fed seaweed had lower cholesterol levels than those fed a regular diet. Supplementing your healthy diet with seaweed may help to keep these levels in check. For pregnant mothers and toddlers, seaweeds are a great source of vitamin b9, folate. Folate is important for the baby's development. Folate (or folic acid) lowers the risk of neural tube birth defects and delayed speech development in children. We know it’s nutritious. Eating it is going to greatly benefit our health, but how do you add it to your diet? Roasted ao nori, or green laver, sheets taste amazing as a topping sprinkled over rice and even eaten plain as a snack. Our favorite snacking seaweed is lightly roasted and seasoned- Little Miss and Little Man devour it in place of potato chips. Here are some more fun facts about seaweed! If you weren’t a fan of seaweed before, hopefully you're convinced to give it a try. Paradis, Marie-Eve, et al. "A randomised crossover placebo-controlled trial investigating the effect of brown seaweed (Ascophyllum nodosum and Fucus vesiculosus)on postchallenge plasma glucose and insulin levels in men and women." Applied Physiology, Nutrition, and Metabolism, vol. 36, no. 6, 2011, p. 913+. Health Reference Center Academic, http://link.galegroup.com/apps/doc/A275312438/HRCA?u=lom_kentdl&sid=HRCA&xid=76cc2097. Accessed 19 Feb. 2018. Wada, Keiko, et al. "Seaweed intake and blood pressure levels in healthy pre-school Japanese children." Nutrition Journal, vol. 10, 2011, p. 83. Health Reference Center Academic, http://link.galegroup.com/apps/doc/A265608763/HRCA?u=lom_kentdl&sid=HRCA&xid=b04e1dae. Accessed 19 Feb. 2018. Zhang, Junzeng, et al. "Antidiabetic properties of polysaccharide- and polyphenolic-enriched fractions from the brown seaweed Ascophyllum nodosum (1)." Canadian Journal of Physiology and Pharmacology, vol. 85, no. 11, 2007, p. 1116+. Health Reference Center Academic, http://link.galegroup.com/apps/doc/A176562895/HRCA?u=lom_kentdl&sid=HRCA&xid=b2a0f45b. Accessed 19 Feb. 2018. I didn't realize seaweed had so much protein! Great infographic! Wow! Pinned it! So informative! I did not know a lot of this. Love the infographic too! Great post. I'm always looking for ways to get more nutrients into our diets. I need to try this with my kids! So interesting, isn't it amazing what a difference your diet can make in so many aspects of your life?! I love seaweed!! My grandma used to make me seaweed soup whenever I was sick! I knew seaweed was a healthy food, but didn’t know exactly why. I need to find ways to incorporate it more in my diet! Seaweed is so tasty! I also like that paper thin seaweed snack, so yummy!